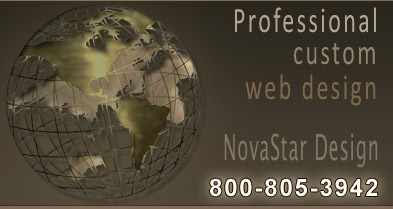 Novastar Design is a full service Florida web design company specializing in website design and development for Florida clients located in Fort Pierce FL, Port St Lucie FL, Jacksonville FL, Jensen Beach FL, Pembroke Pines, FL, Boynton Beach FL, Vero Beach FL, and Tampa Bay, FL. 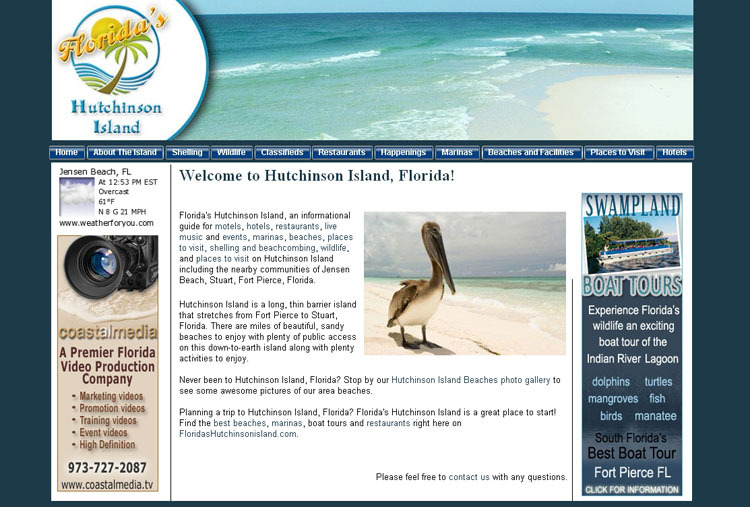 Our websites include tour boat excursion website, events entertainment specialists, radio station, contractor websites, construction websites, medical websites, video production, property management, and photographer websites. 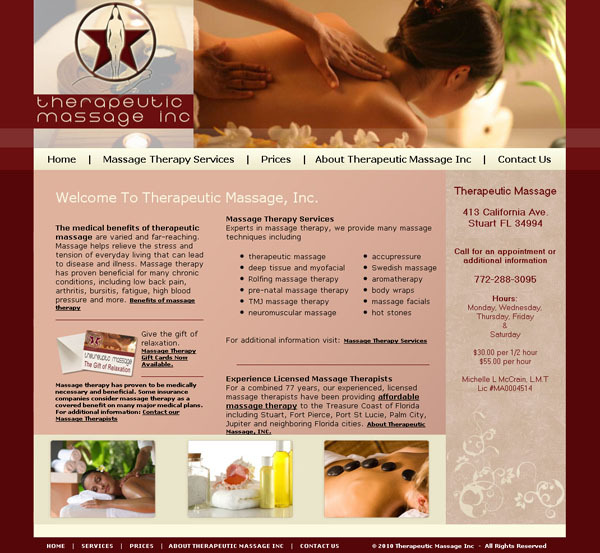 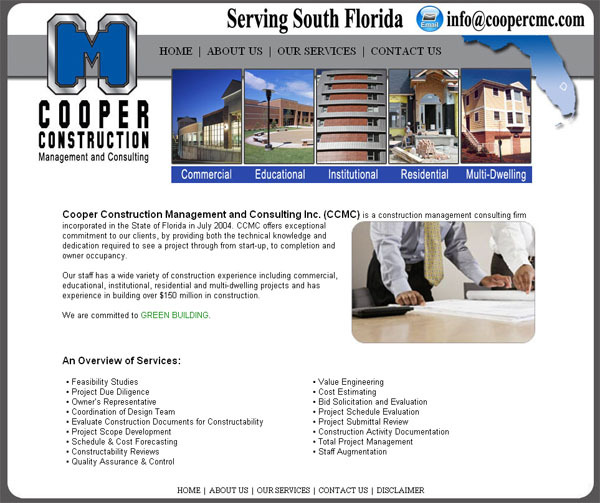 company specializes in custom website graphics, logo and branding, search engine optimization, hosting, business email systems, website statistics, web application development and more! 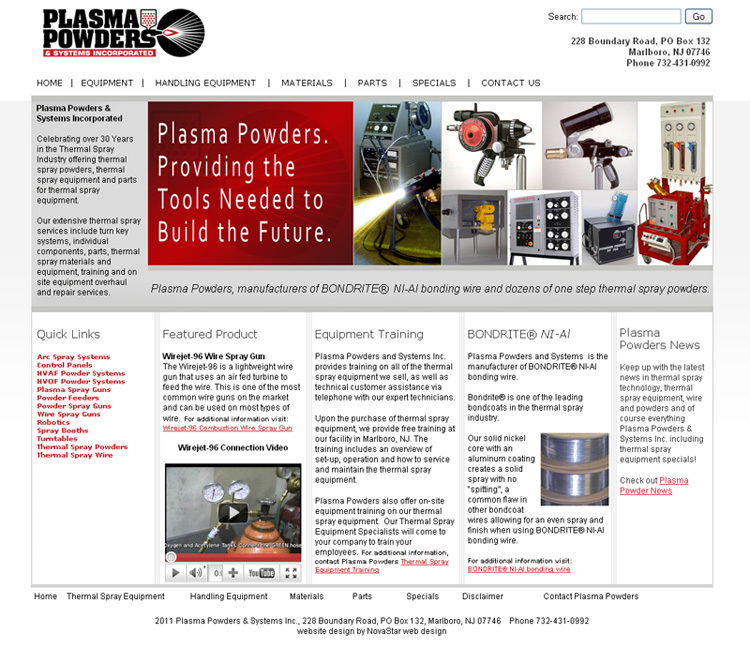 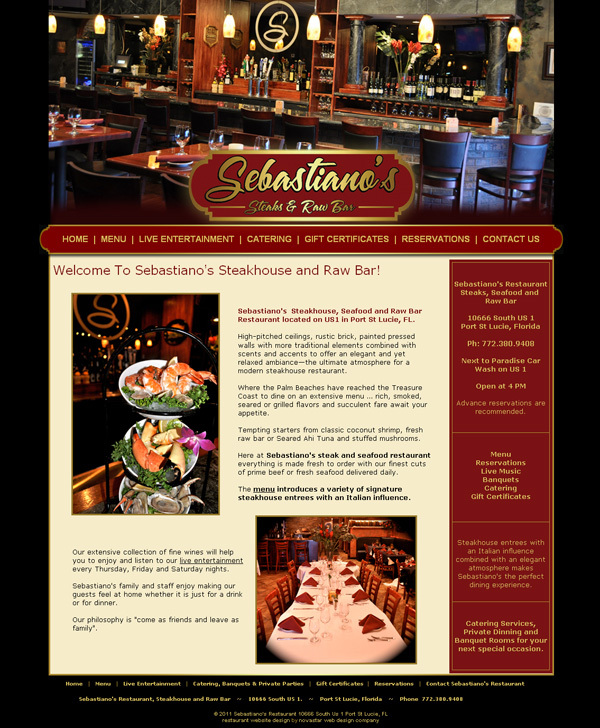 We provide your company with all the tools needed to run a successful business website. 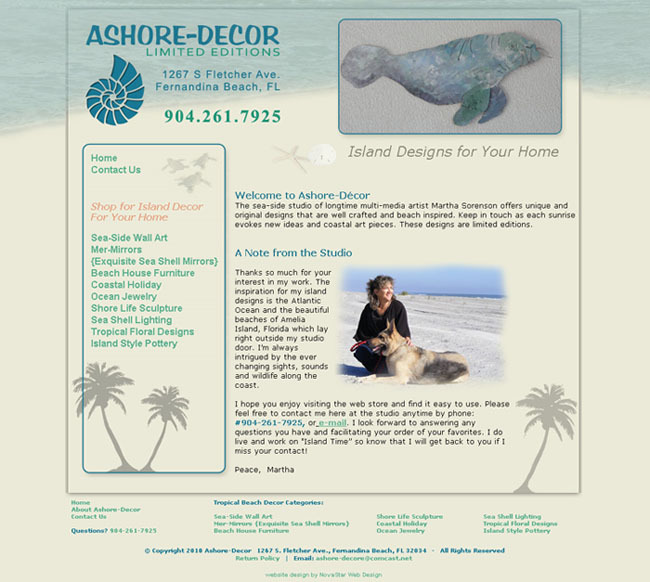 Ecommerce, Beach Website Design for Ashore Decor located in Fernandina Beach, FL selling handmade Tropical Home Decor. 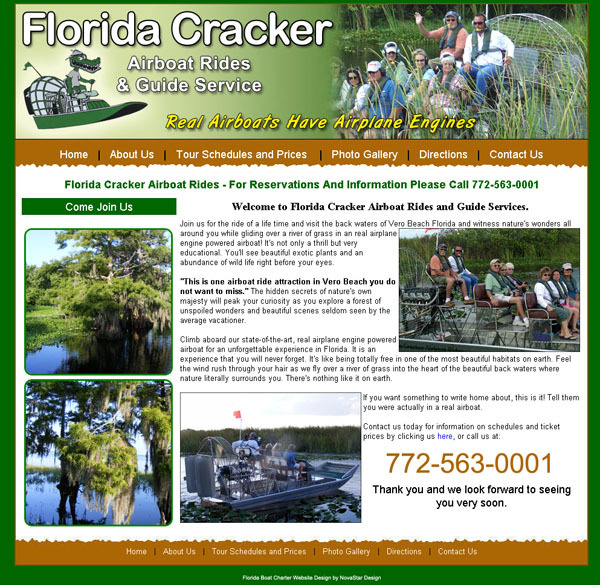 Boat Charter Website Design for Florida Cracker Airboat Rides, Vero Beach, FL. 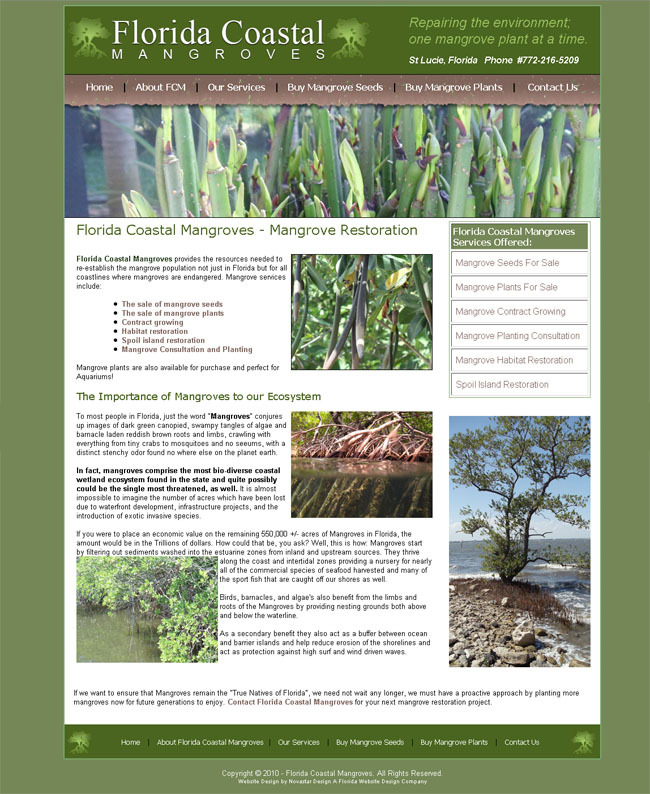 Ecommerce website for Florida Coastal Mangroves located in Palm City, FL selling mangrove plans and seeds online. 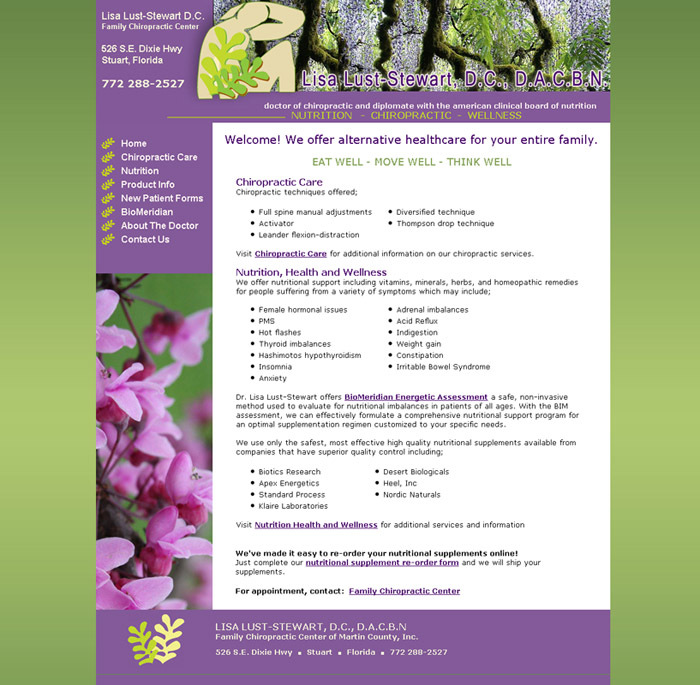 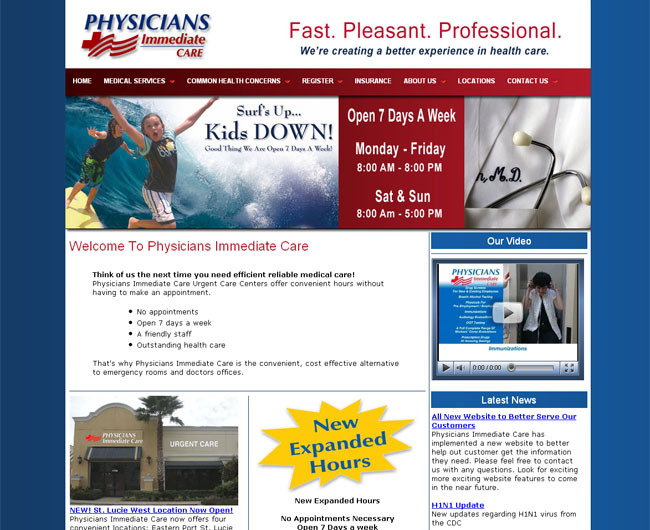 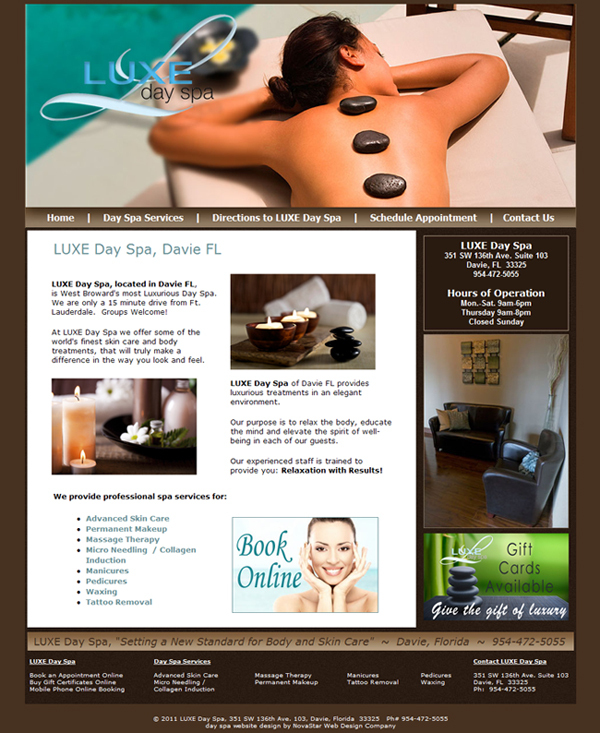 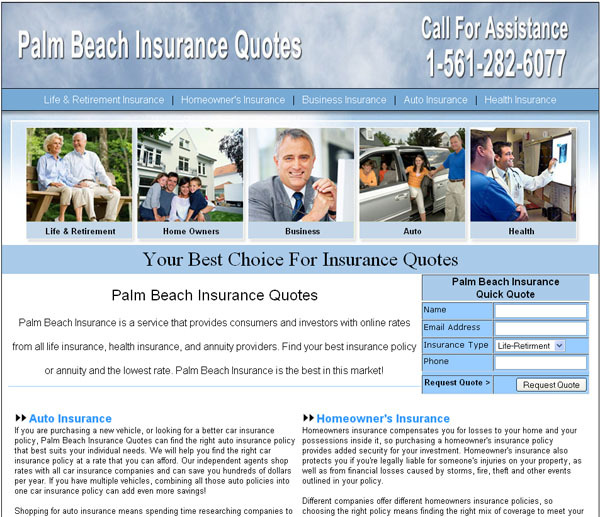 Urgent Care website design for Physicians Immediate Care, Urgent Care Centers located in Port St Lucie and Fort Pierce Florida. 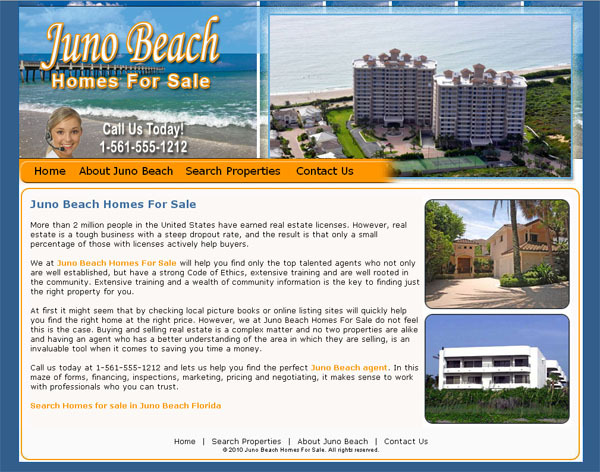 Hutchinson Island Homes for Sale, located in Stuart FL, real estate agents for Hutchinson Island and the Treasure Coast. 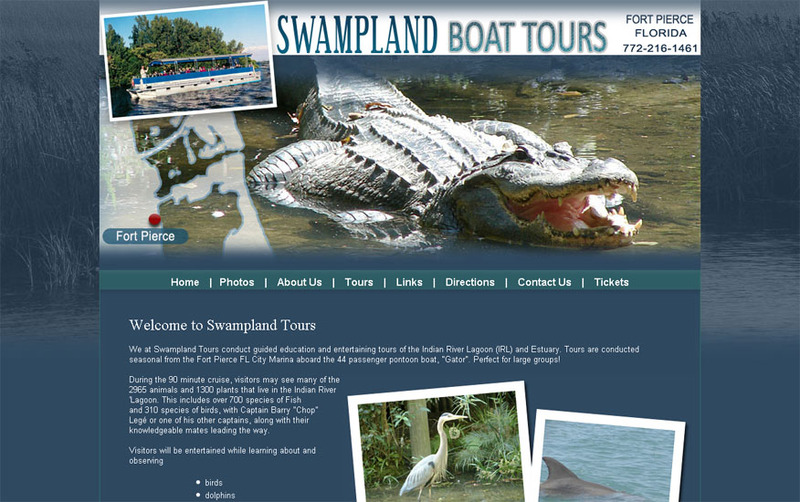 Indian River Lagoon and Swampland Boat Tours located in Fort Pierce FL Specializes group boat tours of the Indian River Lagoon and Estuary where dolphin, manatee and various Florida wildlife can be seen. 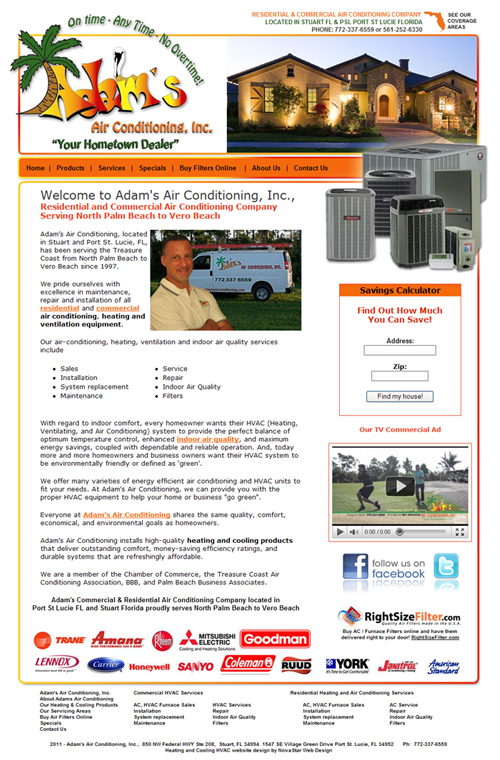 Stuart FL, Jensen Beach FL and Fort Pierce, FL. 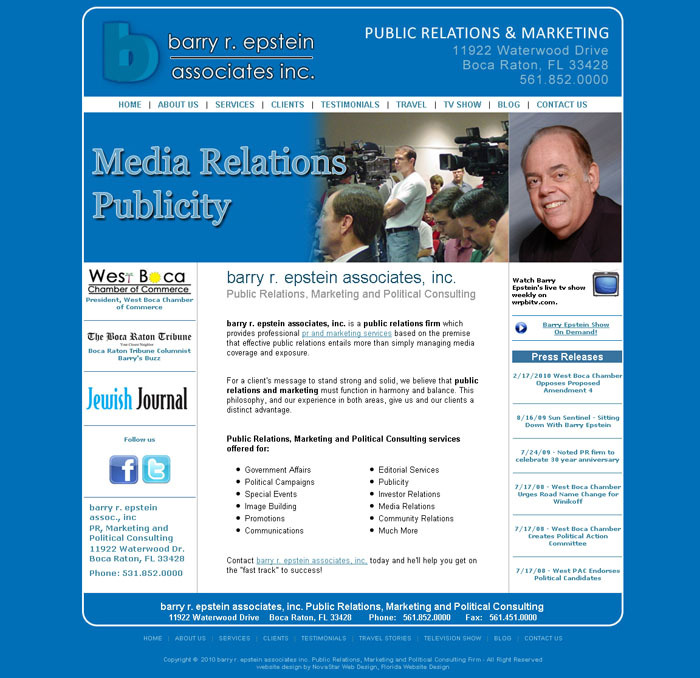 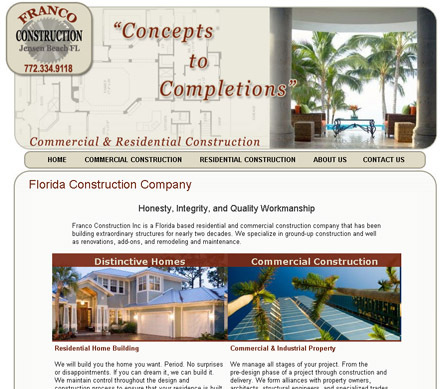 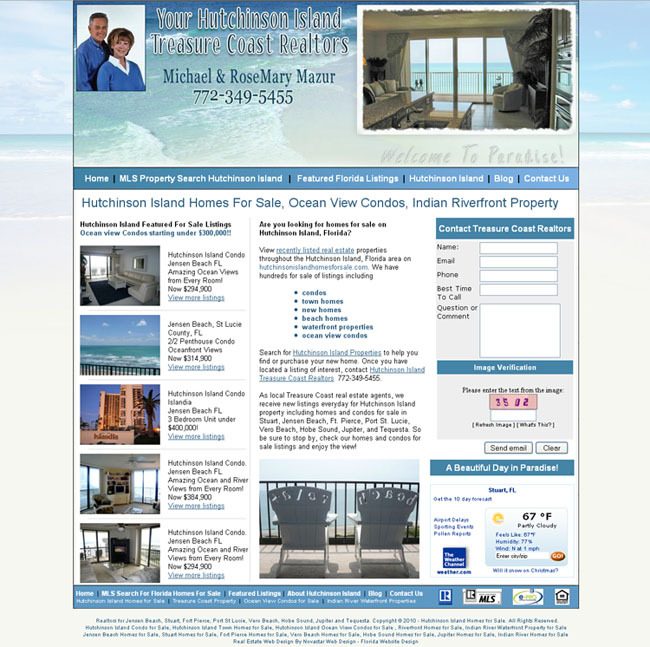 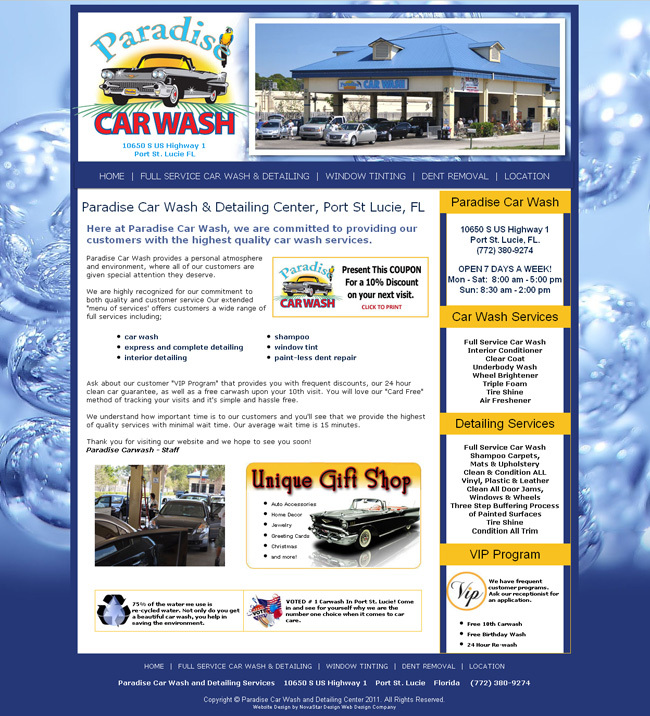 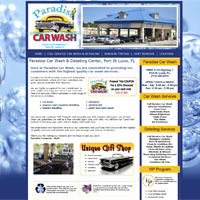 Franco Construction Inc., located in Jensen Beach FL Construction website design. 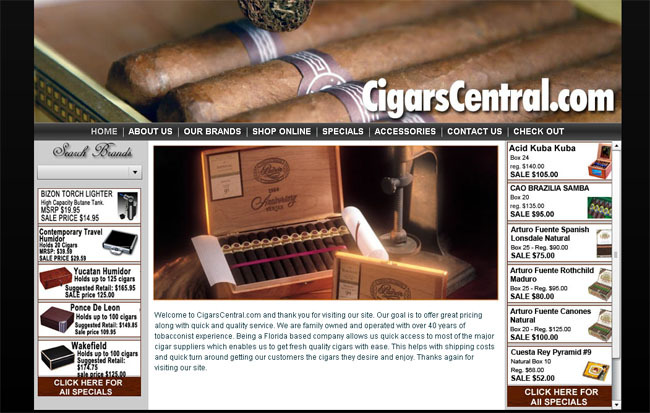 CigarsCentral, a Cigar Store located in New Smyrna Beach FL featuring an online, state-of-the-art cigar shopping cart. 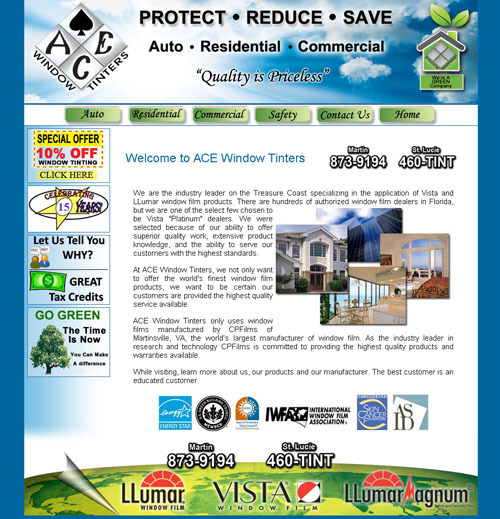 ACE Window Tinters, located in Port St Lucie FL Commercial, Residential, and Auto Window Tinting for the Treasure Coast FL. 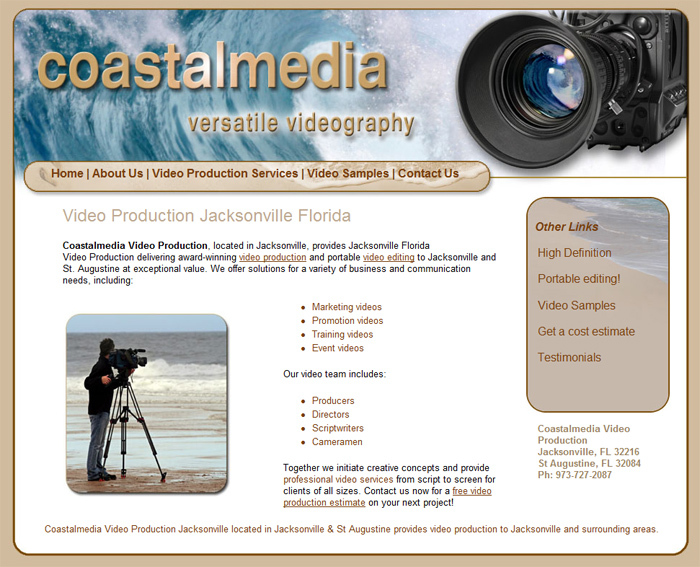 Coastalmedia located in Stuart FL specializes in video production, corporate video production for the Treasure Coast of Florida. 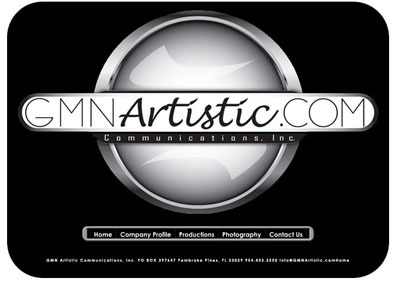 GMN Artistic located in Pembroke Pines FL Production services, including TV commercials, music videos, behind the scenes interviews, and photography. 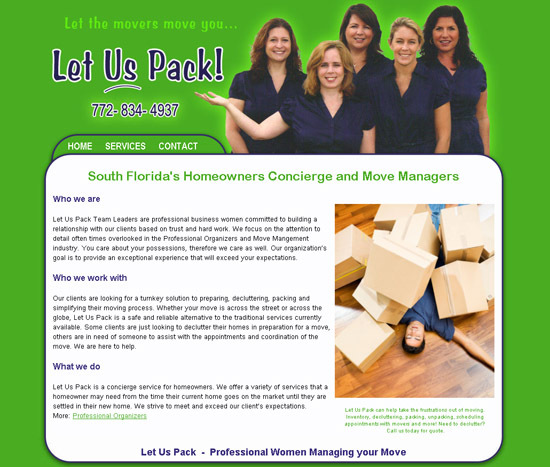 Let Us Pack Located in Stuart FL specializing in packing, inventory, unpacking and organizing for south Florida residents and homeowners located on the Treasure Coast FL. 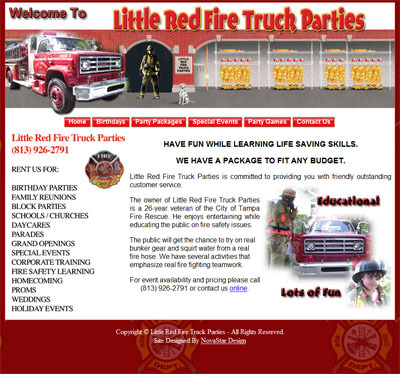 Little Red Fire Trucks Parties, located in Tampa FL Specializes in fire prevention events, entertainment and education. 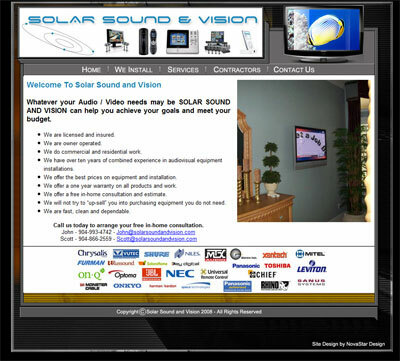 Solar Sound and Vision located in Jacksonville FL Specializes in Audio and Video installation. 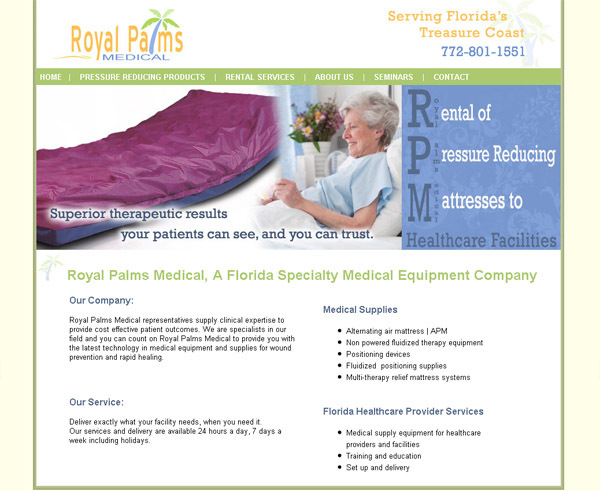 Royal Palms Medical located in Vero Beach FL supplying Medical Supplies to Florida. 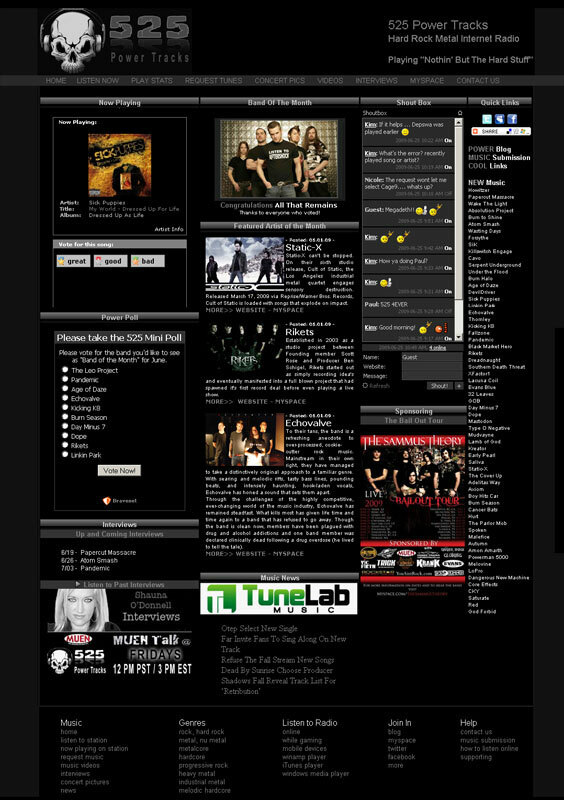 525 Power Tracks Hard Rock Radio Metal Radio Internet Radio Station located in Jensen Beach FL broadcasting and streaming online world-wide, 24/7.